This past Friday my family and I enjoyed a wonderful afternoon of fun in the area. After lunch we decided to try Glace Snow Ice. 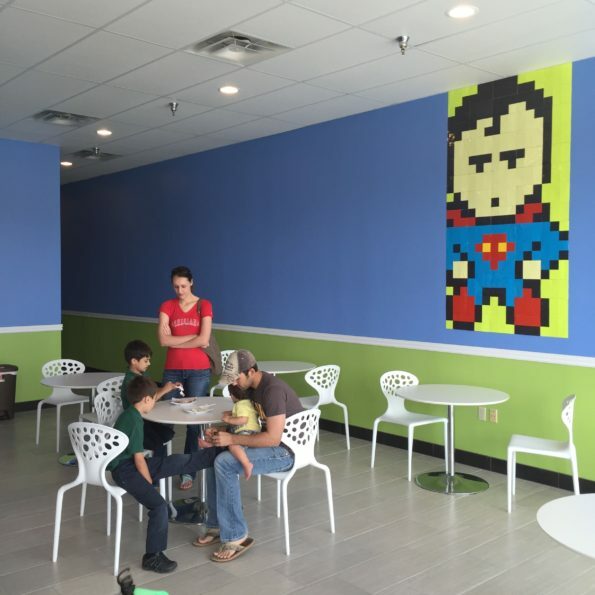 Glace Snow Ice is a new concept that will be a great addition to the Dessert scene here in Lafayette. The owner, Xue Chen is a graduate of the University of Louisiana, with a degree in Electrical Engineering. 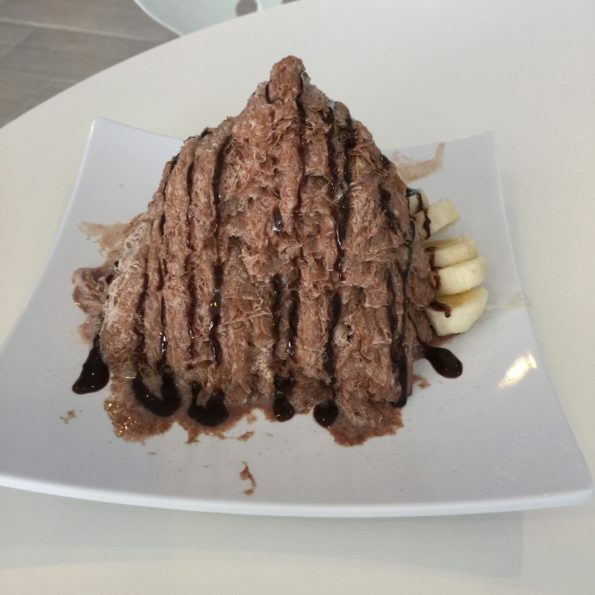 Xue is a young entrepreneur who worked for a few years on this concept until he perfected the Snow Ice. Glace Snow Ice is a Taiwanese Snow Ice. 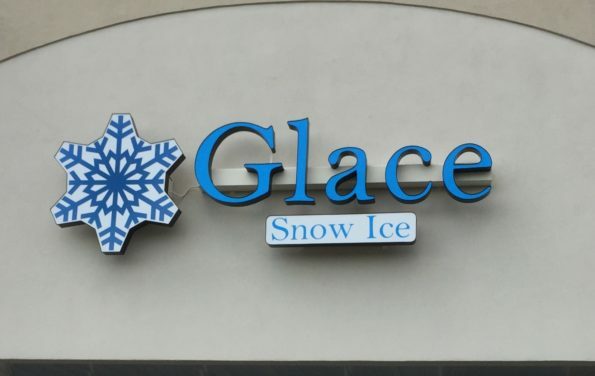 Snow ice isn’t a snowball, frozen yogurt, nor is it ice cream. The snow ice is very similar to frozen cotton candy because it melts in your mouth. 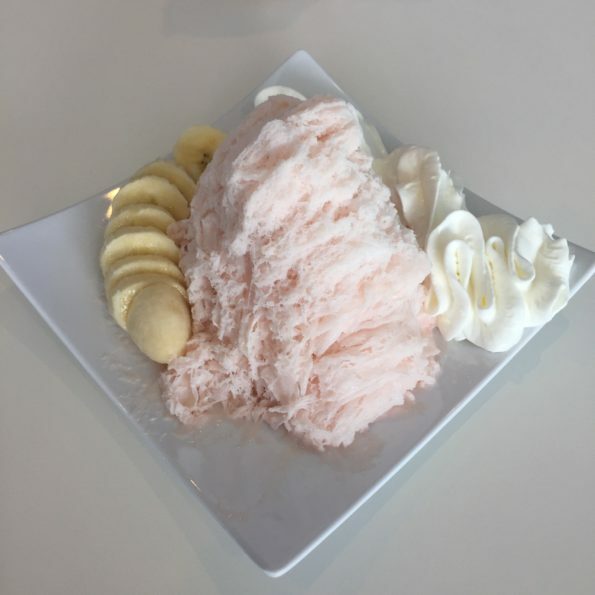 The snow ice is a milk based, flavored frozen treat that has a light, airy and fluffy texture. The flavored block of icy milk was shaved. The frozen block, after being shaved creates thick and fluffy flakes. When we walked in, I loved that the dessert shop was bright and colorful. The white tables were a nice touch. Nothing fancy but simple and decorated perfectly for the type of shop. 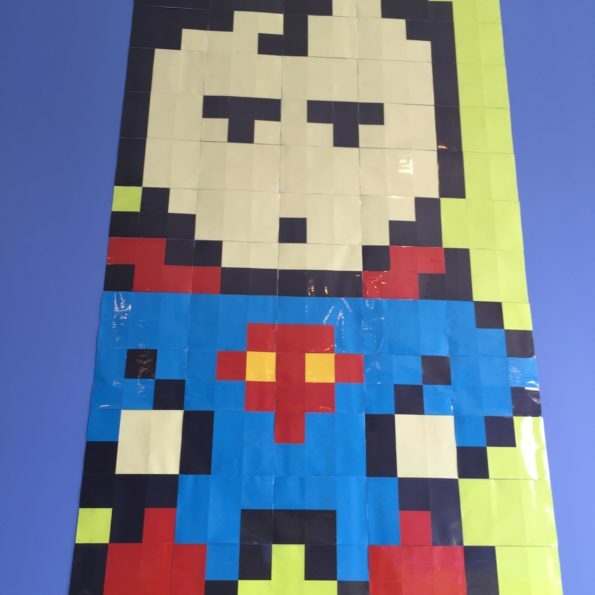 There was a Pixeled Superman on the wall. Very interesting. Pictured above. As we approached the counter, we were greeted by a really sweet girl. 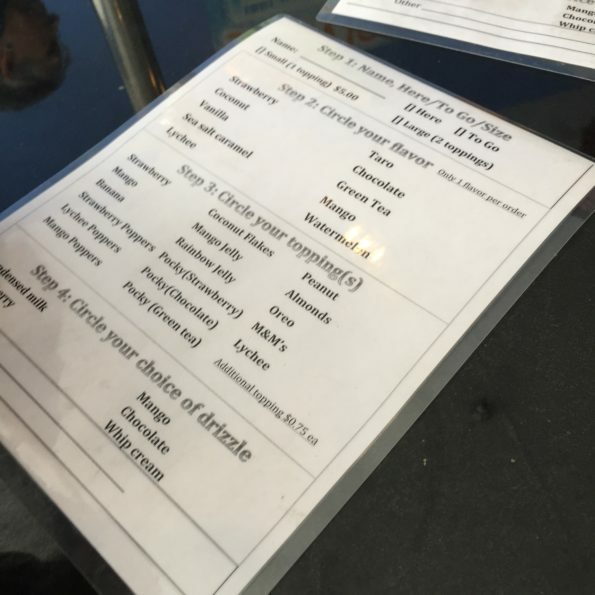 She then proceeded to hand us this laminated menu with options for your snow ice. Pretty cool. I thought the idea was genius. Sometimes the people taking your order can’t hear over the noise or if you speak low, you have to repeat yourself a number of times. So this was perfect. Baby girl loved it. She ordered her own and was the first one finished. The kids will love ordering their own treats. You start with your name, whether it is for here or to go. In addition, there are 2 sizes to choose from, Small or Large. Not sure why he didn’t have a medium or even a kids size. Glace Snow Ice offers many flavors. Strawberry, Coconut, Watermelon, Taro, Sea Salt are a few of the flavor options. 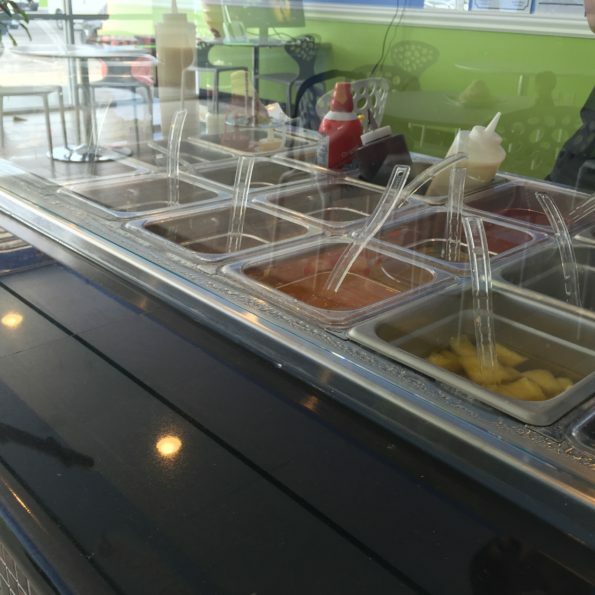 There was a large list of toppings to choose from. 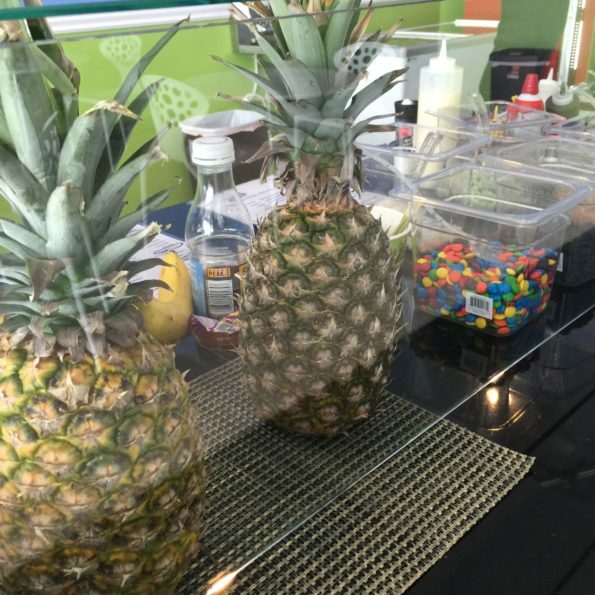 Items like Bananas, Strawberries, M&M’s, Pocky Strawberry, Mango Poppers, plus so much more. Finish it off with a drizzle of condensed milk, Chocolate, whip cream, Strawberry or Mango. Baby girl ordered the small Chocolate snow ice with bananas and chocolate drizzle. Pictured above. A hit indeed with her. Can’t go wrong with chocolate and bananas. 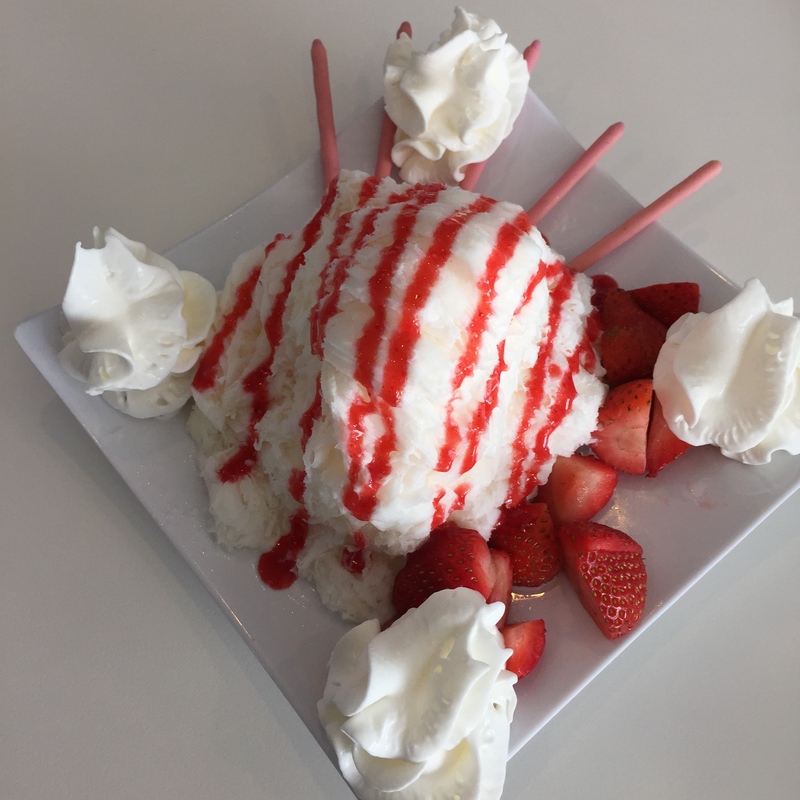 The hubby ordered the Strawberry Snow Ice with bananas and whip cream. The strawberry was very good. I love strawberry and the snow ice was awesome. Melt in your mouth. Pictured above is my beautiful creation. 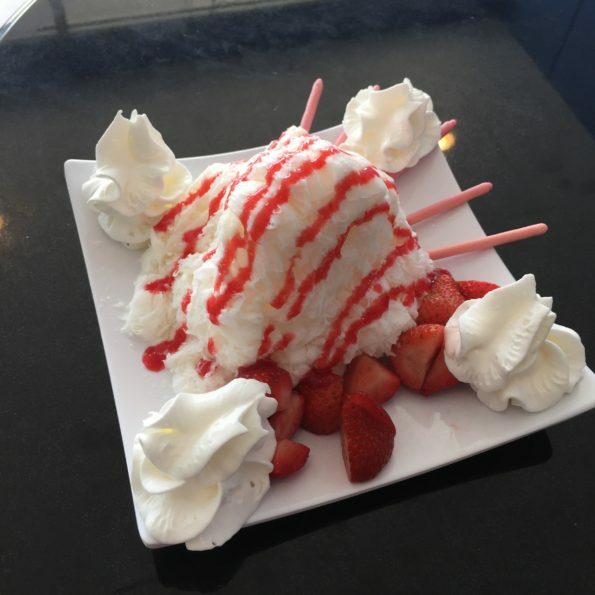 The vanilla snow ice with strawberry drizzle and fresh strawberries with whip cream. Mmmm. Mmmm Good. Superb. I loved the way the Snow Ice stacked on the plate. Amazing texture. In my opinion the Snow Ice was similar to a combination of frozen yogurt and a snow ball with the old school icy snowballs. A light and airy treat, delicious flavor and nice texture. Overall we loved our time at Glace Snow Ice. The desserts were beautifully created. Prepared quickly and the service was wonderful. I would say that the only downside was that Glace only has 2 size options, no kids size. The small was too big for a child. Baby girl only ate about half of her snow ice. My husband and I both ordered smalls and we still had a little left on our plate. But other than that the snow ice was perfect. A great spot to bring your family or girlfriends after dinner. The small is $5.00 with one topping and the large is $7.00 with two toppings. Very reasonably priced for what you receive. 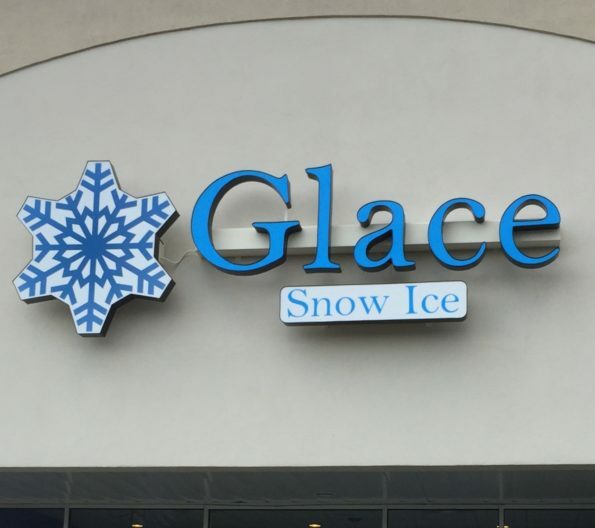 Glace Snow Ice is located at 120 Curran Lane next to Walmart on Ambassador Caffery Pkwy. Open from 11 a.m. – 10 p.m. seven days a week. Go check it out and be sure to tell him Da’Stylish Foodie sent you! !